Strategically located to serve 75% of the United States population within one day driving time, the Tellico Reservoir Development Agency (TRDA) is a one stop entity for permitting and land use designation, this unique setting creates quality developments of the Tellico Industrial Campuses. Tellico makes available a combination of low business costs in a picturesque rural setting that is only 35 minutes from the metropolitan airport. Persons employed at our industrial properties and living in the Tellico residential areas can be at home, on the golf course,or on their boats within 10 minutes. Tennessee is a right to work state and our workforce is composed of a people from a rural area with a strong work ethic and a non-union background. The natural beauty of the countryside provides a prestigious location for manufacturing and distribution facilities. The Industrial Properties are a planned industrial campus with amenities provided to assist companies and their employees in being successful and profitable. 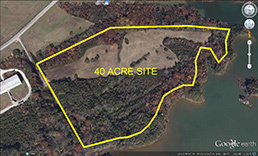 Tellico West Industrial Park features available Greenfield sites ranging from 5 acres to 260 acres and is located in Monroe County, Tennessee,. The area labor costs are 8% below the U.S. average and 19% below the national average of occupancy and construction costs. A Payment in Lieu of Taxes (PILOT) program is available. The Tennessee Valley Authority electrical rates are 19% below the U.S. industrial average. The Agency is a one stop center for Building Permit approvals which allows for fast track and low cost permitting. Utilities are located at the property line and include 4” gas, 12” water, and 10” sewer. Please contact us at 865 673-8599 for additional information. 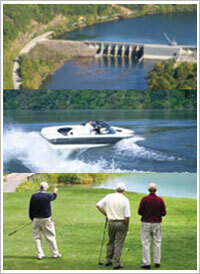 Make your own custom Tellico Economic Development PDF.